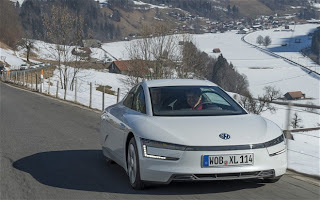 Volkswagen will be lining up at the start of this year’s Silvretta E-Car Rally with two innovative vehicles: one is the XL1, the most efficient production car in the world, which is equipped with a plug-in diesel hybrid engine. The other is the e-up!, the first electric vehicle from Volkswagen to be produced in high volume. Volkswagen is showing in this way that these alternative drive systems are capable of excellent performance on Alpine roads as well. The new e-up! is taking part in the Silvretta E-Car Rally in the Austrian Montafon region for the first time. With its Alpine route profile, the rally is both a test of reliability and highly demanding, as the challenge is to recover large amounts of the power used on the long uphill climbs through battery regeneration on the subsequent downhill sections. With a totally electric drive system the e-up! provides an entry point to a new pioneering Volkswagen vehicle concept and with four seats guarantees scope for full utilisation. It is a car for everyday use, with impressively high torque of 210 Nm. Practically silent and with no loss of traction during gearshifts, the e-up! is powered by an electric motor that delivers a maximum output of 60 kW / 82 PS. It thus accelerates from 0 to 100 km/h in 12.4 seconds and achieves a top speed of 130 km/h. 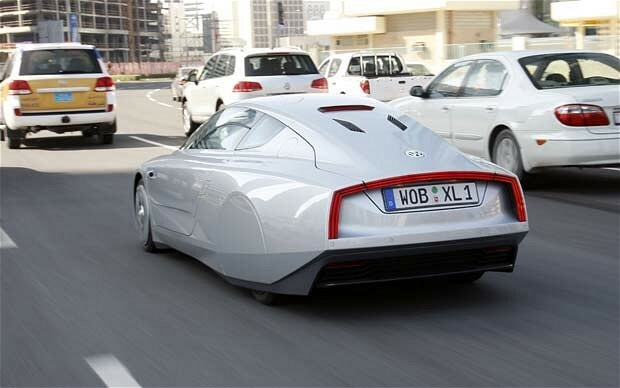 With its 18.7 kWh lithium-ion battery it has a reach according to NEDC of up to 160 kilometres. This means impressively low energy costs of less than €3 per 100 kilometres. The e-up! can be charged with 2.3 kW plugged into any standard 230V socket, with 3.6 kW via a home-installed wall box or with up to 40 kW plugged into a DC fast-charging station via the optional CSS (combined charging system). In the latter case, the battery is 80 per cent charged in under 30 minutes. The power connection point for charging the battery is concealed as usual under the fuel cap. In the ideal scenario the e-up! will be charged using electricity from regenerative sources and will then be running 100% CO2 neutral. The e-up! differentiates itself from the basic up! model through a high-quality, aerodynamically optimised design. One striking identifying feature externally is the curved arrangement of the LED daytime running lights in the bumper. The front section, sills and underbody have also been aerodynamically enhanced. Burnished 15-inch alloy wheels with low rolling resistance tyres, Volkswagen emblems on a blue background and e-up! lettering on the hatch and the front doors make the fully electric four-seater instantly unmistakable. Only a premium level of trim is being offered for the e-up! In addition to the high up! specification it includes ‘maps+more’ navigation, Climatronic climate control and multi-function display, heated windscreen, heated seats and tinted rear windows. The mobile online ‘Car Net’ services, which can be controlled via smartphone, appear in the e-up! for the first time in the New Small Family and also form part of the car’s standard specification. The interior is characterised by light grey seat covers with blue fell seams, a design specific to the e-up! The purposeful use of leather and chrome trim conveys a purist overall impression – in keeping with a fully-fledged, urbane electric car’s vehicle concept. The entry-level price of the e-up! in Germany as an already well-equipped base model inclusive of battery is €26,900. This autumn at the IAA (International Motor Show) in Frankfurt, Volkswagen will announce further details on how the vehicle is to be marketed, including, for example, leasing and flexible car hire packages.